Sharks are predator fishes that live in the saline water of oceans and seas. There are more than 500 species of shark has been found so far. Some of these are very big giants while some are very small in size. Some sharks are too aggressive while some are very gentle and docile. Some shark species are weird in look and/or habit. They are so different from other common sharks that it becomes difficult to identify them as the member of the same family. 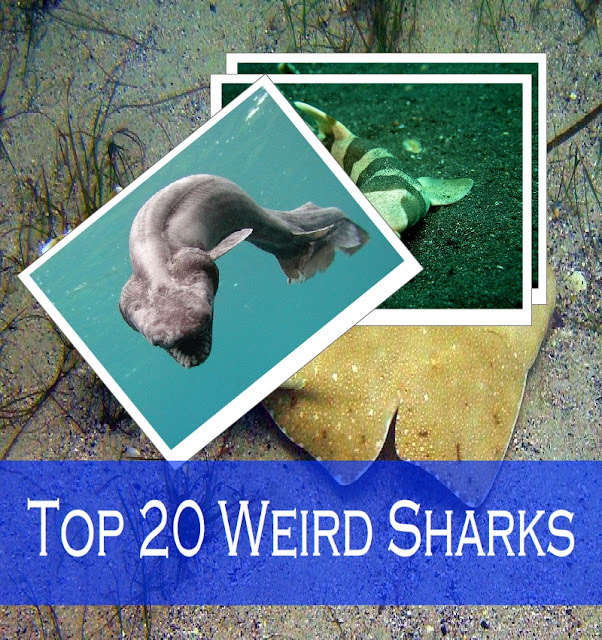 Now enjoy the picture and description of 20 bizarre looking sharks. Please make people aware about the importance of saving the sharks to preserve these creatures. It is one of the weirdest sharks that live in the oceans. It is a species of “Carpet Shark”. It really looked like a colorful carpet. One can find these sharks in the shallow regions of the Western Pacific and Eastern Indian Ocean. The shark is a bottom dweller and most of the times remain still on the seabed. The colorful carpet like design works as a camouflage which keeps them hidden from both their prey and predators. Most of these species of the shark never grows more than 4 ft but the full grown banded wobbegongs can grow up to 10 ft. They generally don’t attack humans. 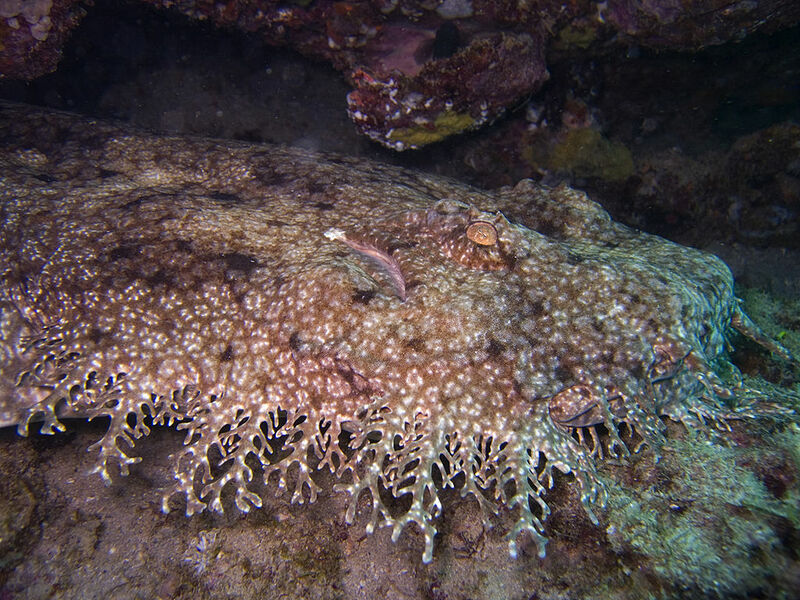 But if you accidentally (or intentionally) step on a resting wobbegong, it will bite you sharp and deep. It is advisable to go very near them. Frilled Shark is one creepy looking deep sea dweller. The shark has a snake like head (or eel like one can say). 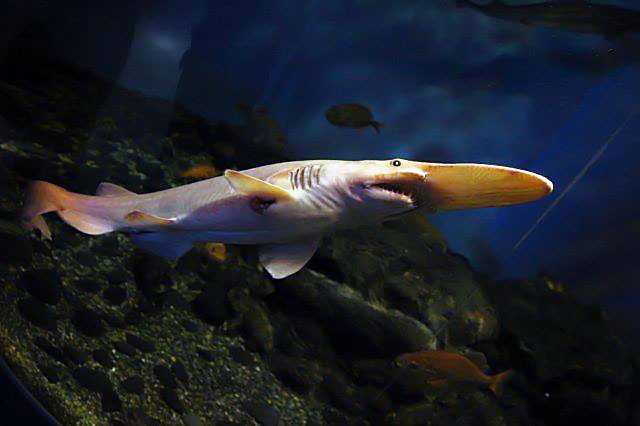 The mouth is filled with triangular needle sharp teeth with multiple branches. The shark has not evolved for millions of years and so it is another “living fossil”. The shark has a huge liver filled with low density oils which help it to float. 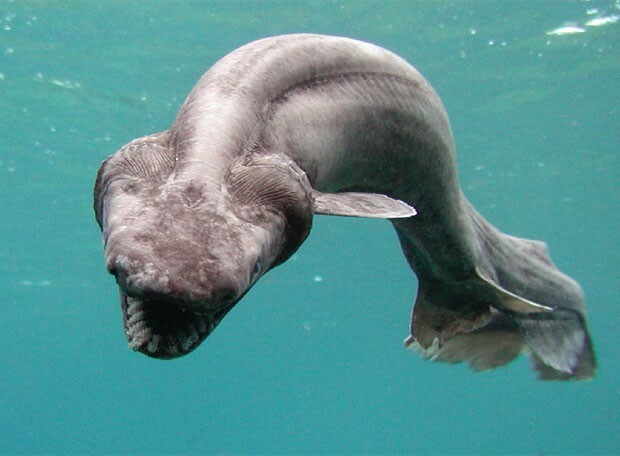 Without using its fins or tail, the Frilled Shark can float in the depth of the oceans. In average these sharks grow up to 5 ft. the females are longer than the males. Some largest specimens become 6ft long. Frilled Sharks have very long gestation period. The egg is hatched inside the mother’s body and then the pups are born live. The mother carries the fertilized egg for as long as 42 months. It is the longest gestation period for any animal on earth. What can be the relationship between a bamboo and a shark? The point of comparison here is its long bamboo like tail. 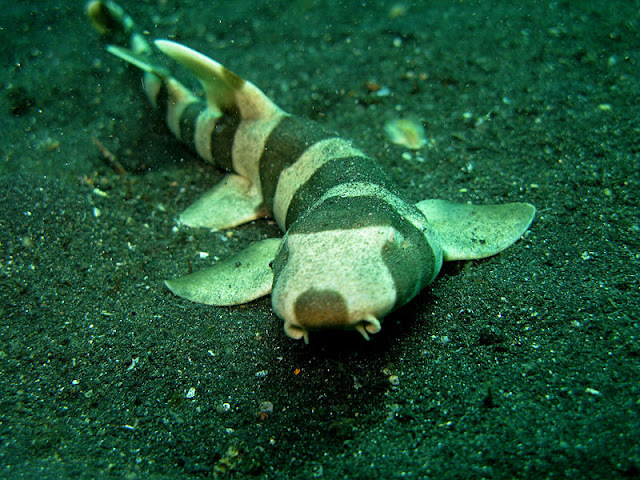 Bamboo Shark is an inhabitant of the tropical Indo-Pacific region. The shark is relatively small in size. The largest members of this shark family hardly grow over 4 ft. There tail is much longer than the rest of the body and it hampers their movement. So, the shark is slow to catch fast fishes. It feeds on very small fishes and seabed dwelling crabs and shrimps. Thresher Shark got his name from its long tail. Another name of the fish is “Fox Shark”. They prefer to live in open oceans. Most of the Thresher Sharks lives in the Pacific Ocean. The shark uses his long tail to stun the prey. 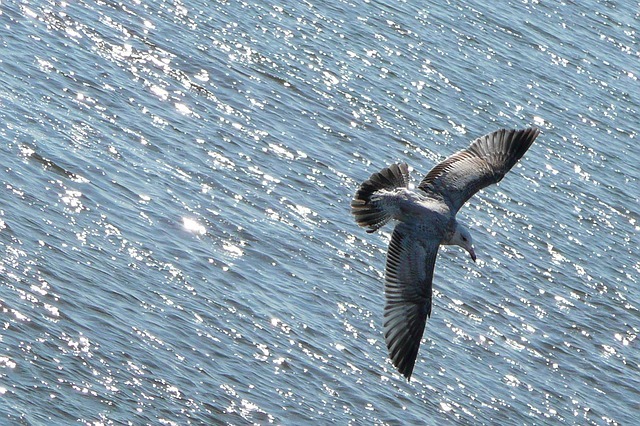 They slap the water with force to stun its prey. It whips his tail to hit the fishes in a school to make some motionless before eating. The larger specimen of the Common Thresher Sharks can be 20ft long with 1100 lb weight. Bluefish, tuna and mackerel are the main food items of the shark. Thresher Sharks are edible and so they are often haunted down. They are also a big target for Shark fin markets. They are also a popular game fish. So, these sharks are threatened by humans. Generally sharks are grey or bluish grey and white in body color. 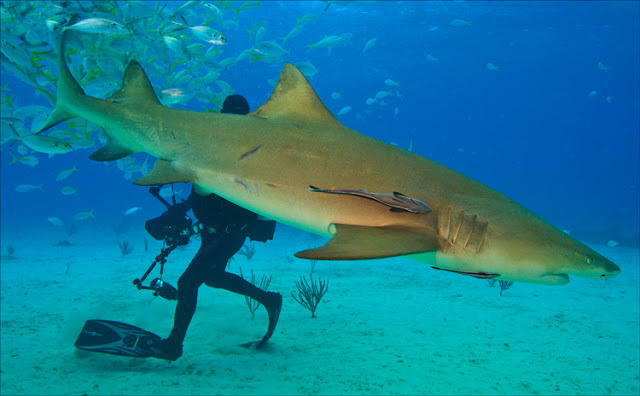 Lemon Shark is weird due to its light yellow skin color. Actually, it often swims just over the yellow sands of the coastal areas. The color of its skin helps it to camouflage in these places. This shark can be as big as 8 to 10 ft in length with a body mass of 200 to 250lb. Although some much bigger specimens of it has been recorded. Most of these Lemons live in the Atlantic Ocean’s tropical coastal areas of North, Central and South America and also in the Western Costal seas of Africa. They are known for their group feeding behavior. Unlike most other sharks, Lemon Sharks live in loosely formed groups and have some social behaviors. Lantern Shark is the smallest among all the sharks. There are a species of Lantern Shark. Dwarf Lantern Shark is known for its very small size- 6 to 8 inches max. 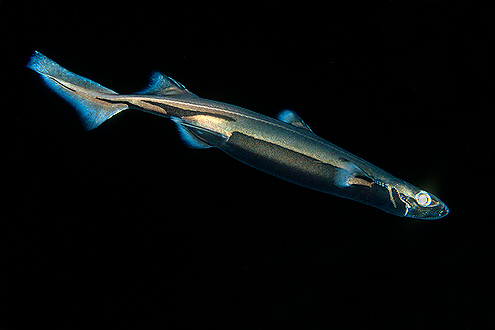 Velvet Belly Lantern Shark is also small with black velvet like abdomen. Cow Sharks live in deep and cold waters of the oceans. They are rarely seen. 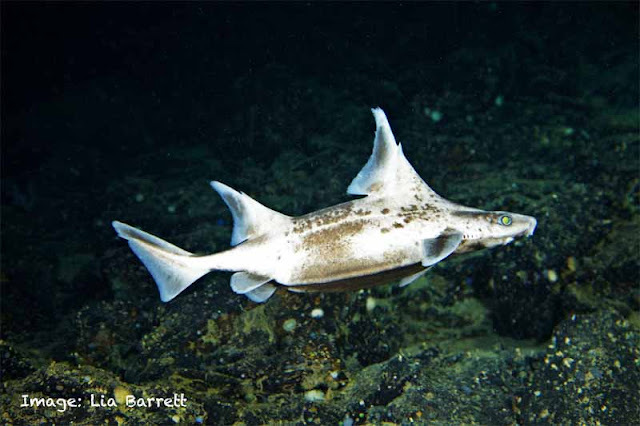 Despite of its bovine name, a cow shark is a fierce haunter. They often kill other sharks for food. Sharks generally have five gills but the Cow Shark is different due to its extra one or two pairs of gills. An adult cow shark can reach 18 ft of body length from tip to tip. They are living fossils. There skeleton shows that they are most primitive among all living sharks today. Zebra Sharks have stripes on their torso like a zebra. Another name of the shark is Leopard Shark. Actually, the juvenile specimen looked like a zebra but the adult’s skin becomes more like that of a leopard. They often lie still in the sea bottoms filled with coral or sand. The spots over their body help them to hide from their prey and predators. These sharks can be big with a body length of 11.5 ft and body mass of 66 lb. 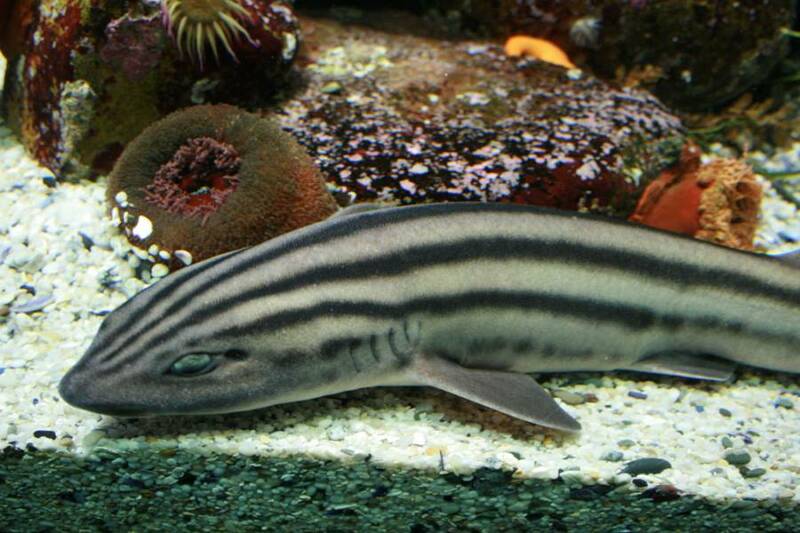 The natural habitat of Zebra Shark is the shallow waters and coral reefs of the Indian and Eastern Pacific Ocean. Generally, they are docile and never attack without much provocation. Whale Shark is the world’s largest fish. This fascinating creature is a giant species of shark. A full grown Whale Shark can have a length of more than 40 ft with a body mass of more than 20 ton. 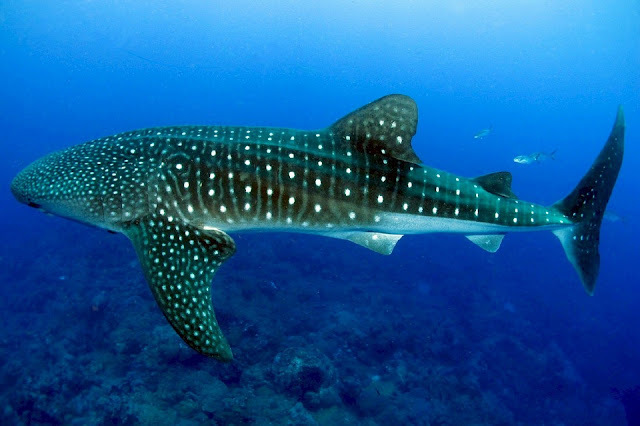 The Whale Sharks do not like the cold and so they lives in the tropical oceans and seas. These giants can live up to 70 years. Due to its size this creature has no natural predators. But they have a long maturity period and a very big size which makes them vulnerable to humans. Whale Sharks are gentle and docile creatures. They are filter feeders and their food is plankton. That is why they even do not harm the small fishes. Basking Shark comes second in size after Whale Sharks. They can be reach 20 to 26 ft. They are also filter feeders like the Whale Sharks. 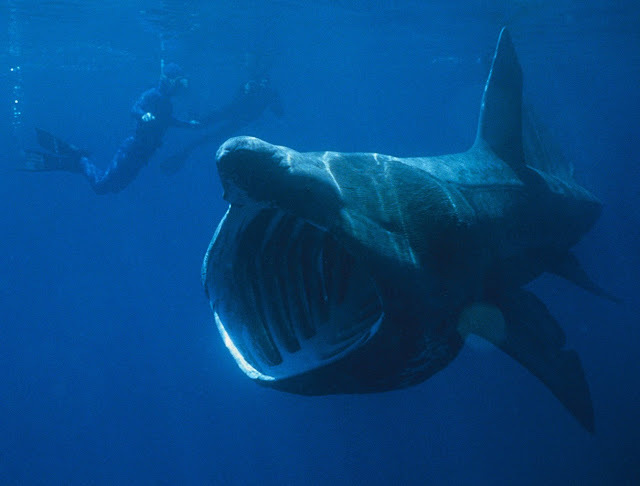 Basking Sharks feeds on the upper layer of the sea and so it looks like they are basking on the warm sun. These sharks have numerous small teeth and look ferocious but actually they are very gentle. These sharks are very slow moving. Their typical speed is 2 knot per hour. That is why for hundreds of years fishermen have haunted them for skin and shark liver oil. That is why these sharks have become rarer today. 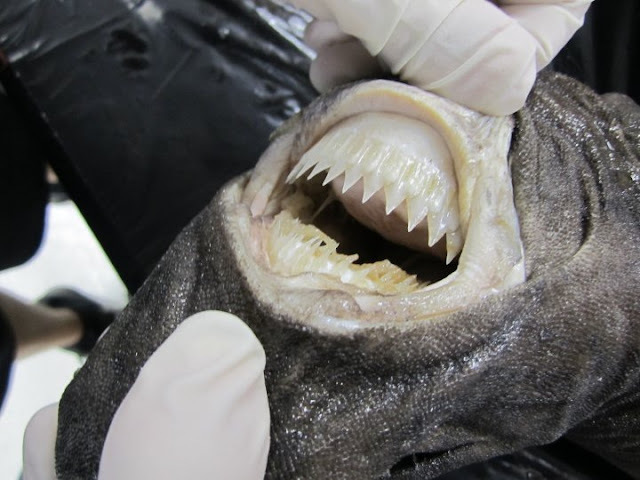 Cookiecutter Shark or Cigar Shark is small in size. But it is not a docile or gentle creature. With its razor sharp teeth it attacks animals much larger than its size and often cuts some chunk of flesh from the larger animal’s body to eat. The average length of a Cookicutter is 3.5 to 4.5 ft. It has a dark collar which makes it look smaller in the dark oceans. It helps it to hide from the unsuspecting preys. 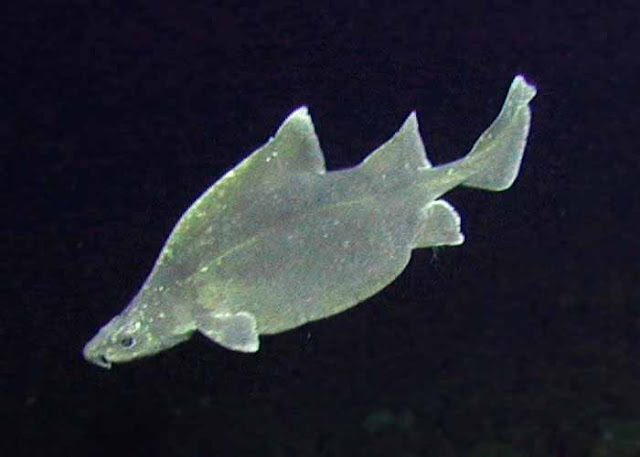 This shark has light emitting photophore cells. These photophors also help it to blend with the light and shadows of the ocean floors. The Cookicutters love to bite and often cuts open the fishermen’s nets. They also attack submarine cables but cannot do much harm due to lack of strength. The Goblin Shark is one terrifying sea creature due to its weird shape. They can thrust their jaw 2/3 inches forward from the mouth to capture a prey. They are very rare and lives in dark deep oceans and so much information is not known about them. Due to living in darkness the shark has no pigments in their skin. So, it gets the natural pink color. The mature shark grows up to 10 to 13 ft but there can be some larger specimens. Hammerhead Sharks have an unseal hammer like shape in front of its mouth. The flat hammer like shape is called as a cephalofoil. The eyes of the shark are located in two ends of the ‘hammer”. That hammer is useful to haunting big stingrays. It presses them on the seafloor by using the hammer. Due to the large gap between the two eyes the shark has a much wider angle of view than other sharks or sea creatures. 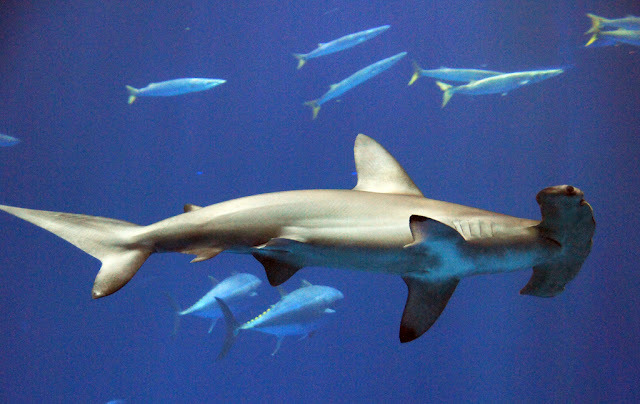 A Hammerhead can be of 500lb weight and 13 ft long. The shark can be fast with a speed of 25 mph. They form large schools with as many as 100 members. Most of the hammerheads avoid humans but there are a few Hammerhead attack incidents reported too without any fatalities. In some Asian countries the flesh of the shark is popular and so thousands of these sharks are killed every year for it. Saw Sharks have a long, blade like snout. That snout has teeth on the edges giving it the appearance of a saw. That saw is used to slash the prey. These saw haunters can grow up to 5.6 ft. They are ocean bottom dwellers. They can detect squids and crabs hidden under the bottom slime or sand. It uses its saw like a sword to kill or cripple the unfortunate victim. There is a pair of “barbels” or whisker like things in the middle of the saw which helps to sense the electrical signal of the hidden preys. Sawtooth Sharks lives in deep oceans and so have no normal interaction with humans. So, humans have nothing to fear from them. Prickly Dogfish lives in the oceans near Australia and New Zealand. They are small with a maximum growth of 30 inches. The shark looks different for its humpback shaped body. There are also two big sail like dorsal fins making its look more peculiar. The head of the shark is flatter than the rest of the body. They have a prickly skin. It is covered by dermal denticles with knife like crowns. Horn Sharks have pretty limited habitation areas. Only the western coastal waters of Northern America, around the coast and Gulf of California are known to have these sharks. The most striking feature of the shark is the small dark spots over the body. There are also two horn like shapes over their head. The shark is small in size, grows not more than 3.5 ft. 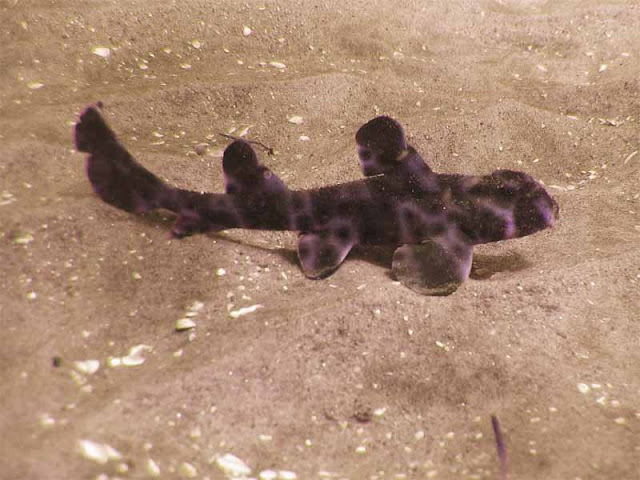 The Horn Sharks are bottom dwellers. They hide themselves under the rocks during the day time. They haunts at night. Their favorite food is hard shell mollusks. They have a pair of strong, powerful jaws to break the shell of these sea snails. There fin spines are mildly venomous. It can cause painful stings if handled without much care. They also bite humans if provoked. Pajama Shark is a citizen of the country of Nelson Mandela. Actually, they can only be found near the coastal waters of South Africa. There are a few paralal stripes over the body of the shark. Pajama Shark is a species of Catshark and so have two whiskers of babels like a catfish. They are bottom dwellers. They prefer the rocky sea beds or kelp forests. The shark is small reaching 3.6 ft as an adult. There favorite food item is the juvenile Chokka Squids. Leopard Catshark is also endemic to South African coastal waters like the Pajama Shark. The shark cannot grow more than 33 inches. They are also bottom dwellers. They have leopard like spots over their body. But the color, pattern and shapes of the spots can vary widely among individual specimens. 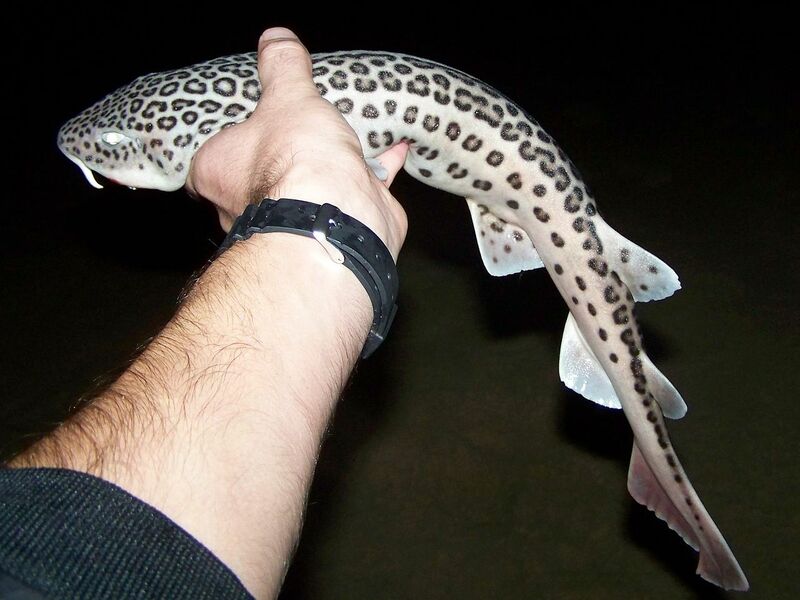 Due to its attractive color patterns and harmless behavior, the Leopard Catsharks are popular in aquarium industry. Angel Shark has ray like appearance. Its body is flat. There are also broad pectoral fins in both side of the body. The eyes of the shark are on the top while the fins are in the back. These sharks are medium sized. Some larger specimens can grow up to 6 ft but the normal size is 5 to 5.5 ft. Though the front part of its body is flat, the rest of the body is like a normal shark. They can hide under the mud or sand. There they wait for an unsuspecting fish or crustacean to catch. They have sharp teeth capable of cutting through the hard shells of mollusks. Angel fishes were haunted commercially in a very big scale in the 1960s to 1980s. As a result there numbers are very small today. They are now critically endangered. 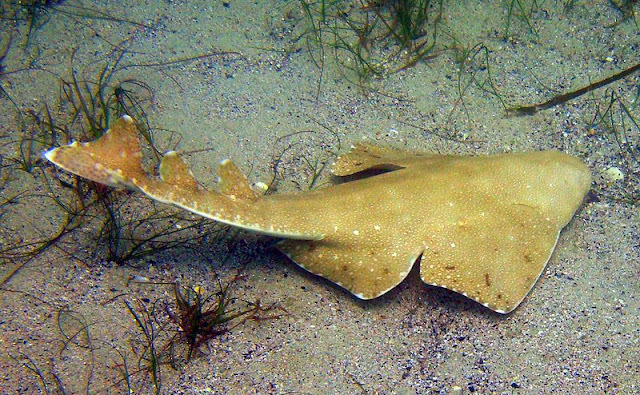 Caribbean Roughshark is a small species of shark reaching only 50 in. They generally roam in deeper part of the Caribbean Sea, at about 1300 to 1500 ft. They live near the sea bed. The shark has a body designed quite unlike other common sharks. It has a stout triangular body with the base at the bottom. It has two different types of teeth The upper teeth contain spear like teeth best for breaking skin and giving puncture wounds. The lower jaw contains blade like teeth best for cutting. How do you like these 20 weirdest sharks that lives in today's oceans? I know some of the sharks like Hammerhead and Sawtooth are quiet well known but they are still strange looking creatures. Some have strange names but looks quite ordinary like the nurse shark or silk shark.